How is daylight savings time treating you? Are you feeling tired? Having trouble getting up in the morning? Weirded out by the fact that it’s still kind of light out at 7pm? ME TOO. This is why we all need these make-ahead high protein vegetarian breakfasts. Because, first: make ahead. Let’s be real, no one’s in the mood to make a decent breakfast in the morning right now. You can make all of these recipes in advance, when you’re not half asleep, keep them in the fridge or freezer, and grab them in the morning. And second: high protein. Because when you’re tired, it’s easy to make bad food choices when you’re feeling hungry. Protein fills you up and keeps you satisfied all morning–which means those doughnuts in the breakroom are way less tempting. 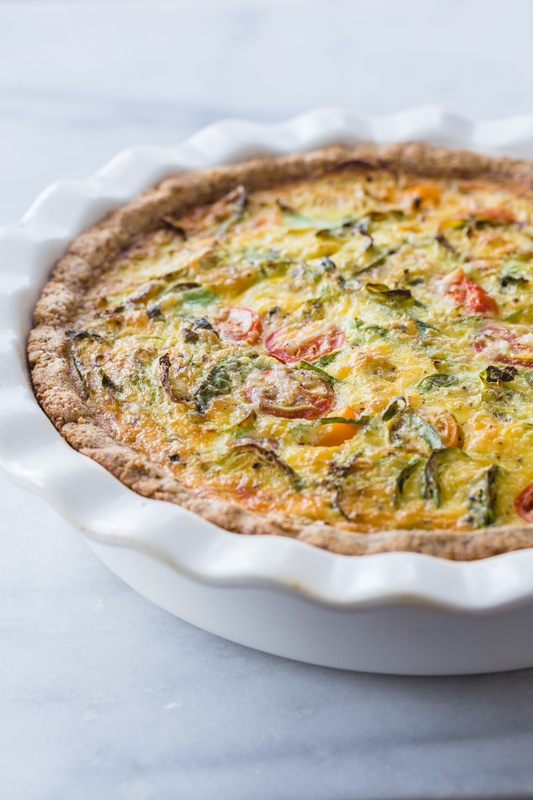 With a crust made from almond flour, sunflower seeds, and Parmesan, this quiche packs in even more protein than usual–and it will last in the fridge all week long too. 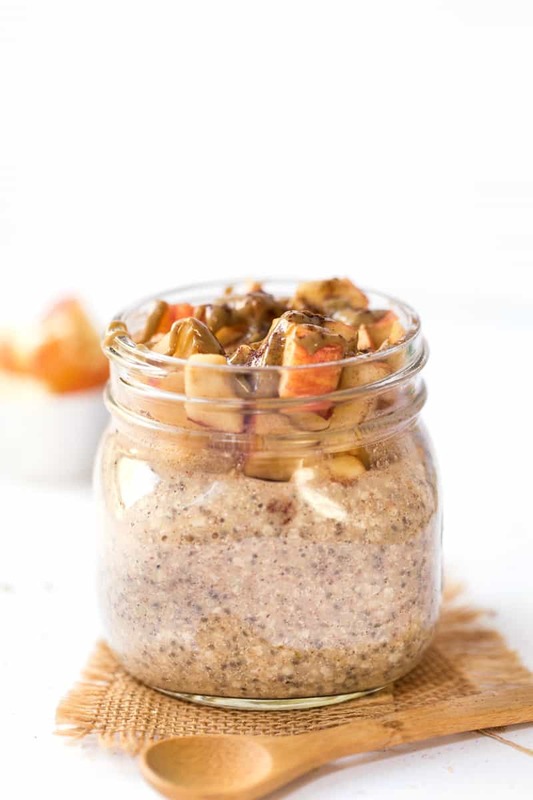 By now, I think most of us have tried a few dozen variations of the basic overnight oats recipe. Swap out the oats and replace them with quinoa for an overnight breakfast that’s higher in protein. Pancakes are so good for freezing. 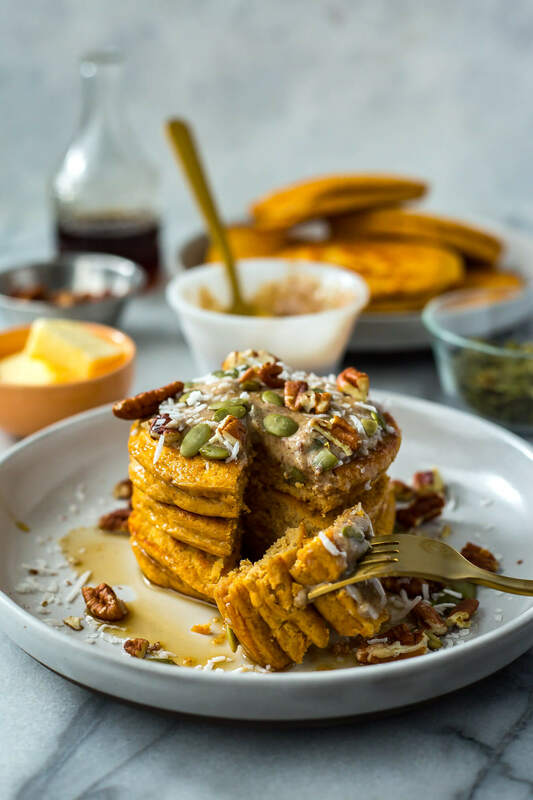 Future you will be happy to have a freezer bag full of these pumpkin pancakes to warm up and eat on busy weekday mornings. 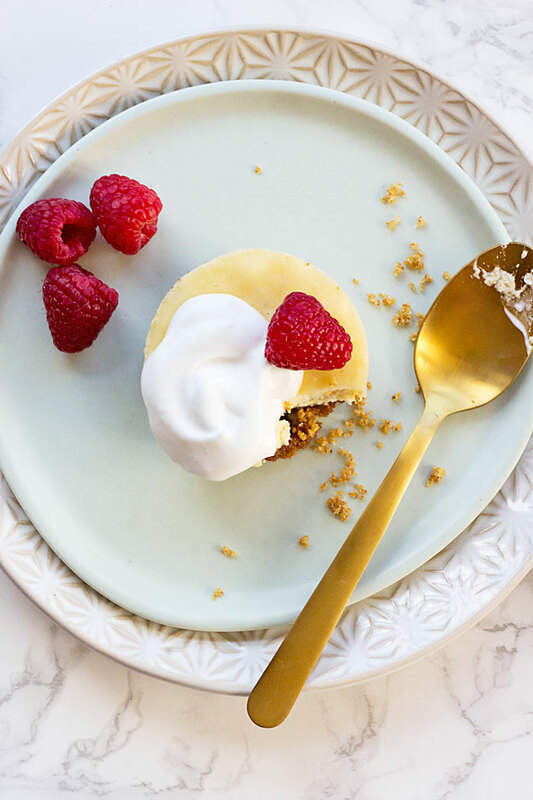 Cheesecake for breakfast? Yes, this is real life. And two of these mini cakes have nearly 30 grams of protein. 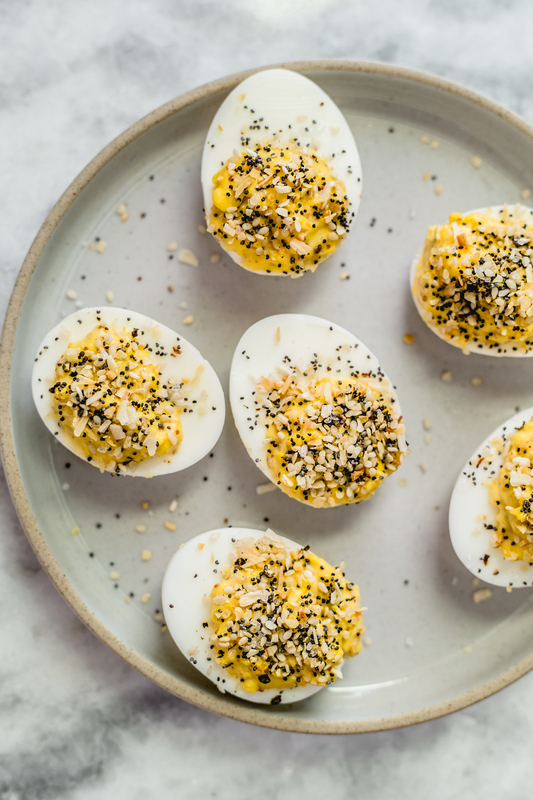 If you’re trying to cut down or cut out bread from your diet, these deviled eggs might just help scratch that itch you have to start the day with a bagel. 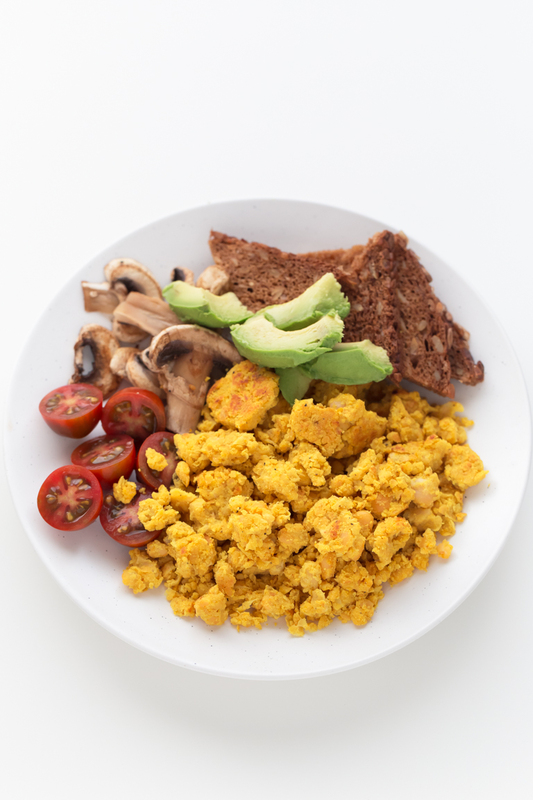 In my house, we’re big fans of keeping a big tub of tofu scramble in the fridge to have for breakfast during the week, but if you’re not crazy about tofu, you’ll love this chickpea scramble instead. 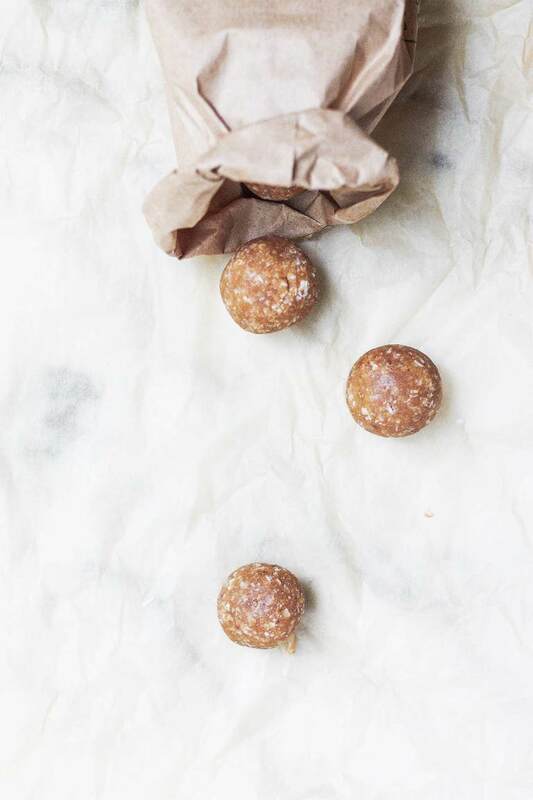 For those days when you don’t even have time to sit down to eat in the morning, these protein balls are the perfect on-the-go breakfast.